If you’re a fan of “hot stuff,” give these spicy wings a try. Cut the wings apart and discard the tips. Line a baking sheet with parchment or foil. Combine the flour, paprika, cayenne pepper, and salt in a zip-seal plastic bag. Add the wings, about a third of the chicken at a time, and shake to coat. Place the chicken on the prepared baking sheet. Cover and refrigerate for 1 hour. When you are ready to cook the chicken, preheat the oven to 200°F. Combine all the sauce ingredients in a small saucepan. Cook over medium heat, stirring occasionally, for about 2 to 3 minutes or until the butter is melted. Cover and set aside. To cook the chicken, heat the oil in a deep-fat fryer to 375 Fº. Add about a third of the chicken at a time and fry for about 10 to 12 minutes or until thoroughly cooked. As the chicken is done, transfer it to a paper-towel lined baking sheet to absorb the excess oil. Keep warm in the oven. To serve, put the warm cooked wings in a large bowl. Pour the warm sauce over the chicken and stir gently until well coated. 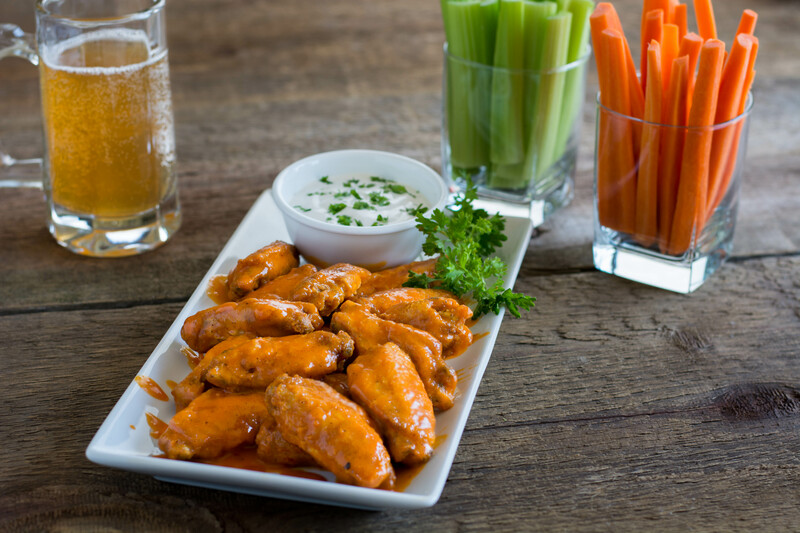 Serve with celery sticks and blue cheese or ranch dressing for dipping, which nicely complements the hotness of the wings.